Y’all…this sale felt like Christmas to me! I could not even contain my excitement! It was so difficult for me to make decisions with all of the goodness that was the Nordstrom Anniversary Sale. I tried to narrow down my purchases by what would last me more than three years because if I am going to spend money on something…it better be able to keep up with me! I also gave myself room to splurge on an item that would be quality but maybe a tad out of my comfort zone! 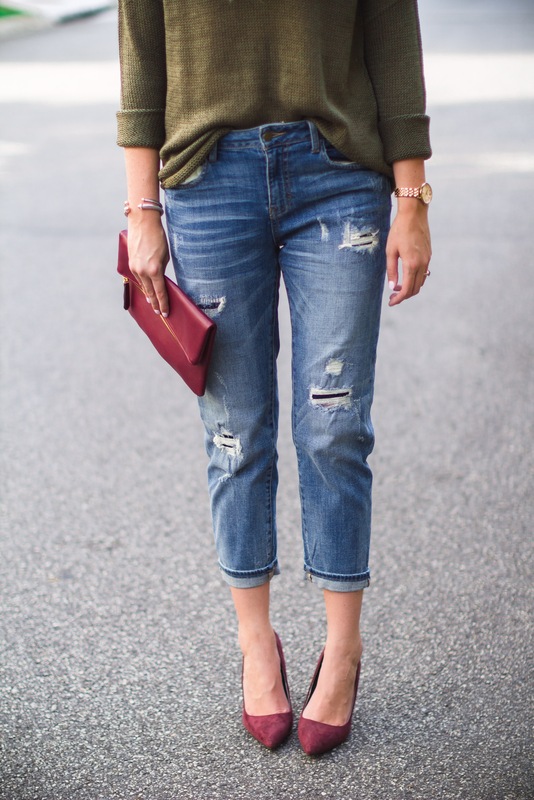 With that being said…I present to you, the boyfriend jeans! I attempted this style last year and if I’m being honest I think i missed the mark…so i ended up selling them and giving up (i have such commitment issues y’all). I went down a size in these, because they should have a baggy fit, but the size I normally wear was literally falling off! 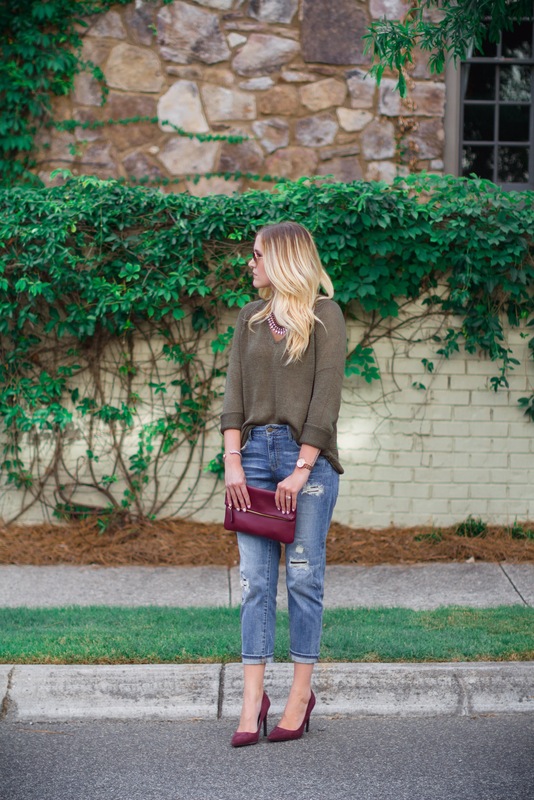 I think the key to not looking frumpy while wearing this style is to pair it with heels. I’ve seen it look AMAZING on some girls with flats (and I’ll probably try it for myself) but I’m not sold on it. Also be sure to pair it with either a cropped shirt or front tuck one, otherwise it can potentially be trashbag-ish (someone had to say it)! I started out with an early, early access trip to Nordstrom and got a good look at the shoes (that’s the only thing I feel weird about ordering online) and then got out of there because let’s be honest I don’t have six hours to be trapped in that hole of good deals and well lit fitting rooms. But the joke was on me because after making an online order the next morning…THREE more trips followed! I have rounded up some of my favorite purchases from this sale and will be styling them within the next few weeks! You I got these flats in blush. This SUPER comfy tee, because you can never have too many striped tops…especially for less than $20! And SO excited about the Halogen ‘Waterfall’ vest, hoping they will restock it when public sale starts! Next week I’m heading to the beach with the fam, but the second I get back it’s black nails and Fall outfit planning (also the beginning of convincing my husband for another trip to New York, wish me luck)!